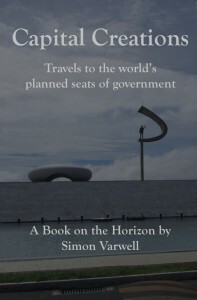 I’ve reached eight titles in my Books on the Horizon – my series of travelogues I’d love to write but probably won’t. Writing them has been a fascinating exercise. I have a few more ideas up my sleeve, but none are especially well-formed. I’m taking the fact I can’t really drive them to a state of satisfactory completion as a sign that I should put a pause on the series. But instead of leaving things in limbo, I want to offer some thoughts on the process so far. First up, imagining and articulating concepts for books with absolutely no expectation or prospect of them materialising is a surprisingly liberating thing to do. I can highly recommend it. There’s a certain creative abandon when you set to work on something knowing there are no practical limits other than imagination. It gave me a wee hint of what it might be like to set out on writing fiction. Mind you, a particularly exciting advantage of doing this with travel writing is the inability to confidently predict what the final product will look like until I actually do the trip. Undertaking a journey will be so full of the unknown that the final piece could end up being very different from the intended outline I’ve published. And that’s the joy of travel. I’m pleased to note that the series ranges from the sublime to the ridiculous, and from the vaguely conceivable to the utterly impossible. Also, the eight titles represent a good spread of topics, motivations and, especially, locations. 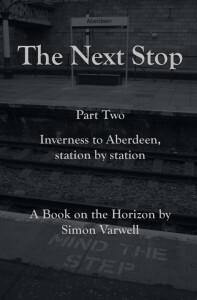 Two (Tracks, and the potentially numerous sequels to The Next Stop) are within Scotland, and only one other, Not Holland, is set within just one country. 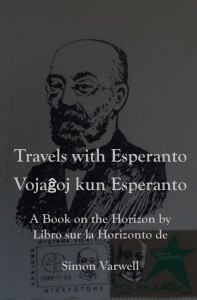 Meanwhile five – Travels With Esperanto, Capital Creations, The Last of the Mullets, Ramblin’ Man and Night Rider – are what you might call “global epics”, stretching a single concept across many different parts of the world. I’m surprised (and a little disappointed) that I haven’t sufficiently refined more of my numerous half-baked single-country ideas (there are many of those swimming around my head), but that links to my next observation. 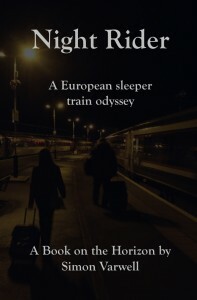 Something else that surprised me about my Books on the Horizon was the almost complete disconnect between my travel wishlist and the book ideas I’ve come up with. 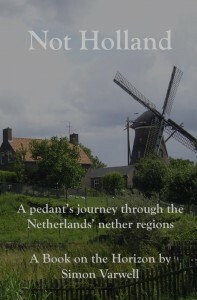 There are plenty countries I’d dearly love to visit (or revisit), but none of them feature in my series – except the Netherlands in Not Holland, and various countries that make passing appearances among the ensemble casts of the five global epics. Within each Book on the Horizon outline, I ask myself some probing questions. That holds up a mirror to the idea, and makes me reflect honestly on whether I am able to properly express and articulate it. It’s been a great way of picking off the weaker ideas, despite them often being about destinations I’ve long dreamed of going to. For instance, way ahead at the top of my wishlist is Iceland. I have a vague idea of exploring the whole country, from lively Rejkjavik to the barren, otherworldly interior, and perhaps a hike, hitchhike or drive around the vast national ring road. Yet I can’t for some reason turn that passion into an interesting, credible book idea. I’d love to drive the length of the Trans-Canada Highway. I’d love to explore the highspeed rail networks of Japan and China. I’d love to do a “between the referendums” journey round England. I’d love to explore Argentina and Brazil, including their diverse immigrant communities. I’d love to make it to Scandinavia, Iran, South Africa and more. And I’d love to return to see more of previous destinations like Australia, New Zealand, Spain, the Faroe Islands, Germany, France and Austria. Yet for all that wanderlusting, I can’t think of a basis for a compelling and authoritative story for any of them. Yes I am sure I’d enjoy the trips and write about them well, and they might make eye-catching one-line pitches. But my Books on the Horizon are about more than a single, passing whim: they’re about meaningful book ideas. And without further inspiration and research, these extra ideas from my wishlist would generate mere “what I did on my holidays” narratives. 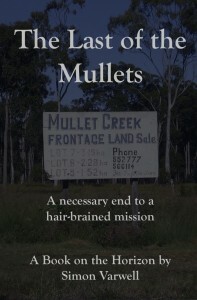 That’s fine for some decent posts for my website, but they are – thus far – not enticing book concepts. At least not in my head. I’ll be honest: Night Rider, Not Holland and Tracks are my three favourites, in that order. They all have clear, communicable and catchy purposes to them, and I’d dearly love to see them happen. Perhaps by coincidence, they are all among the more achievable titles from the series. 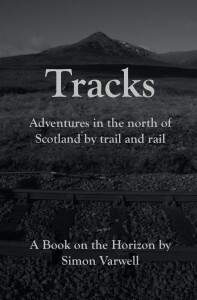 Well, Not Holland and Tracks would certainly be doable with a bit of saving and good planning. Night Rider would admittedly be a taller order, and much as it’s my clear favourite I can’t imagine mustering the money to do it without some significant changes in circumstances. Ultimately, though, whether Night Rider, Not Holland, Tracks or any of the others will ever come to fruition, I have no idea. It probably depends on a number of things. First, it depends on me getting my current project – Island Hopping – out of the way so I have a clear desk and clear mind. Second, it depends on whether anyone would want to read any of these books. 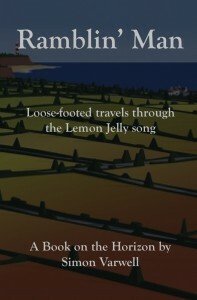 So if you have views, please do post a comment here or on the individual book pages (see the book cover images above). Third, it depends on me summoning the resources required to do the trips and write them up. Fourth, it depends on whether I come up with any more Books on the Horizon. I have, as I say, a few half-baked ideas that may yet become more fully formed. I may come up with other brand new ideas too. I don’t know. But I do know I’m not going to close the series and start some form of selection process or consultation quite yet. Instead, I’ll leave it a while and see if another round of Books on the Horizon materialises in my head. So watch this space. Patiently. And, as I say, let me know your thoughts.